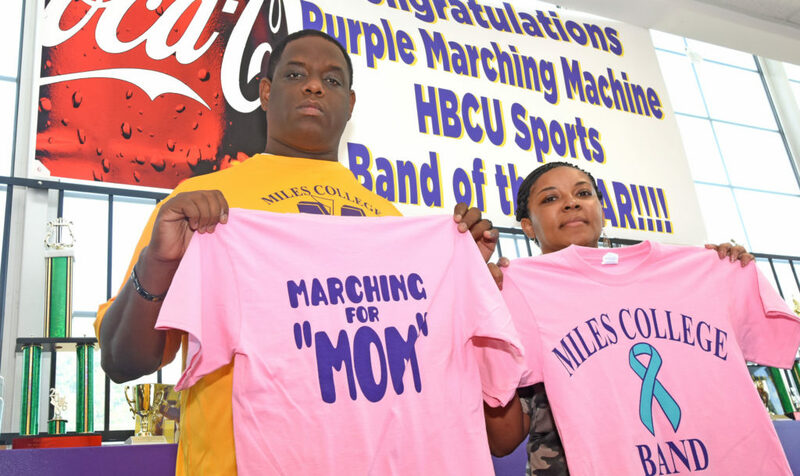 Miles College Director of Bands Willie Snipes Jr. and staffer Tiffany Gardner display the T-shirt band members will wear during part of the High School Visitation Weekend. The Purple Marching Machine's show on Oct. 21, titled 'You Deserve It" is dedicated to Snipes' mother, Emma Snipes. 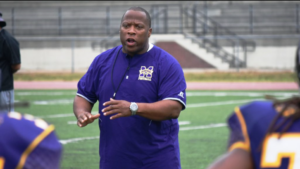 Miles College had hosted its first home game of the season and band director Willie Snipes Jr. did what he so often did. He thought about his mother. Snipes did what he had done so many times before, packing a plate and heading to his mother’s home in Center Point. It’s been a successful season for the Purple Marching Machine. The 225 musicians and flag bearers garnered 14,000 fan votes to finish first in the Queen City Battle of the Bands and they won the HBCUsports Band of the Year for the 2016-17 school year. 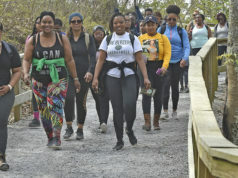 But those firsts take a backseat to the series of firsts Snipes is experiencing this year after his mother, Emma Snipes, lost her battle with cervical cancer on June 28, 2017. Snipes hopes his band produces a performance worthy of a first-place award when it presents its “You Deserve It” show on Oct. 21 – High School Visitation Day – dedicated to his mother. Miles hosts Lane College. Kickoff is at 4 p.m.
During part of that weekend, band members will wear specially designed pink T-shirts with the message “Marching for Mom” on the back. The pink is for breast cancer awareness month and the teal ribbon on the front is for cervical cancer. The band director eulogized his mother. The idea of the band show dedicated to her came during his preparation for that eulogy, about two days before the funeral. Willie Snipes Sr., the band director’s father, was married to his wife for 47 years. 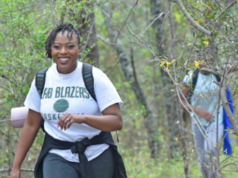 The couple met when the two were students at Talladega College. The elder Snipes recalled their son losing interest in school after elementary school. “She would make him go to school,” he recalled. “She would walk him to school, take him to school and would go to his classroom and would make him do his work. Willie Snipes Jr. said Miles College President George T. French Jr. has been very supportive during the illness and eventual passing of his mother. That support has included creating a scholarship in Emma Snipes’ name for the female in the band with the highest grade-point average. The first scholarship will be awarded in fall 2018. The Miles family also had to deal with another loss this year. Football coach Reginald Ruffin lost his wife Monica on Jan. 31, 2017, to breast cancer. She was 39. Ruffin is now a single father to Gabriel, a defensive back and wide receiver on the ninth-grade football team at Chelsea High School. Father and son understand that everybody on a team plays a role. And each knew who was the MVP of Team Ruffin. Taking Gabriel to practice and picking him up from practice, fixing dinner, handling household bills. Monica Ruffin did it all. “She was like the core of the family,” the 13-year-old added. The foundation of that team was laid in 1990 when Reginald met Monica. They became sweethearts at Choctaw County High School in west Alabama’s Black Belt. “You enter high school and you see the girl of your dreams, someone you know you’re going to spend the rest of your life with,” he recalled. They married in 1999. 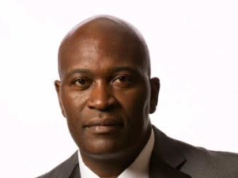 The team has also dealt with the passing of assistant head football coach Tony Oglesby, 53, who coached the defensive line for the Golden Bears since 2011, and battled cancer. He died in September.